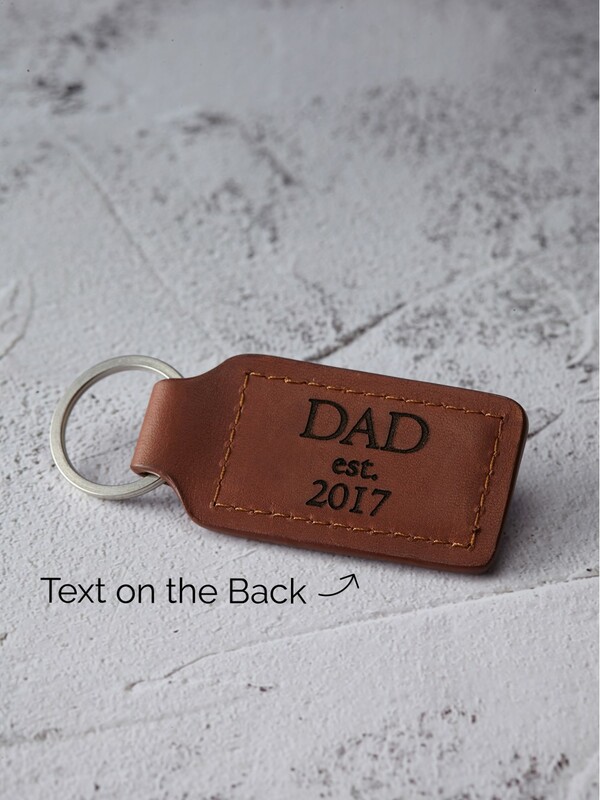 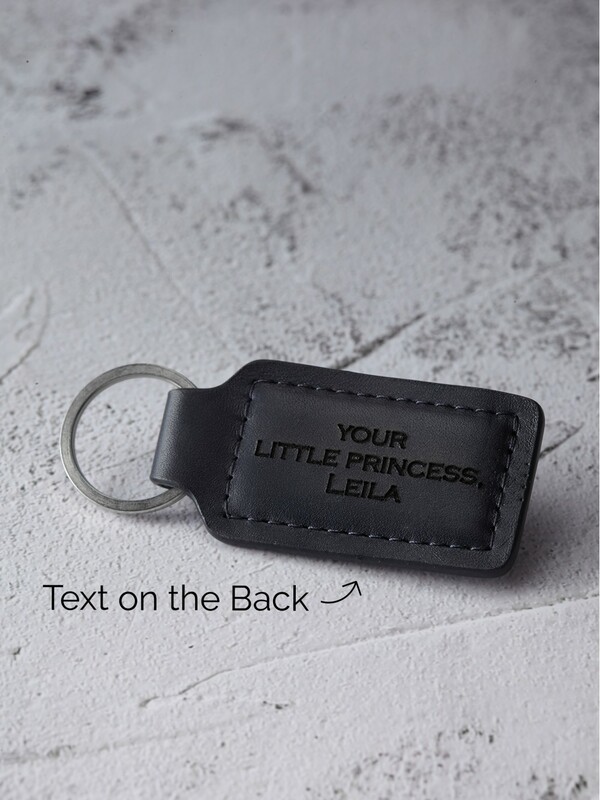 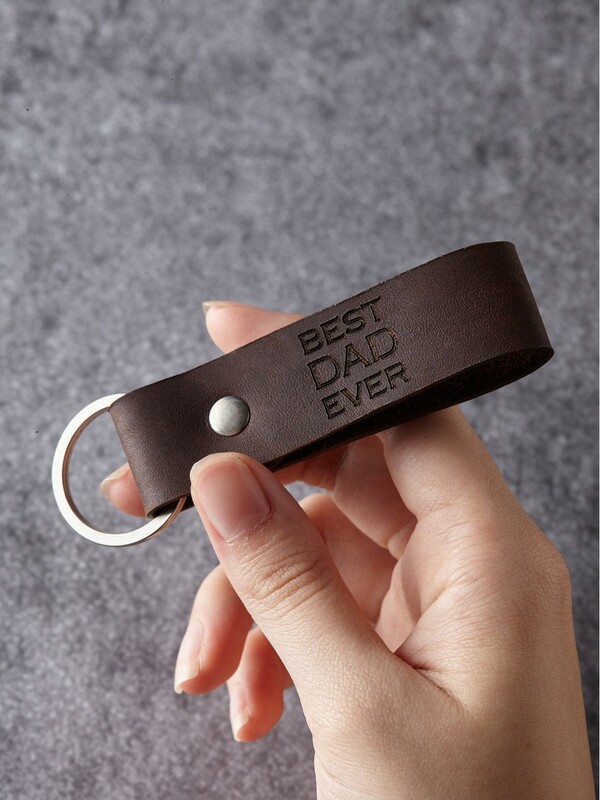 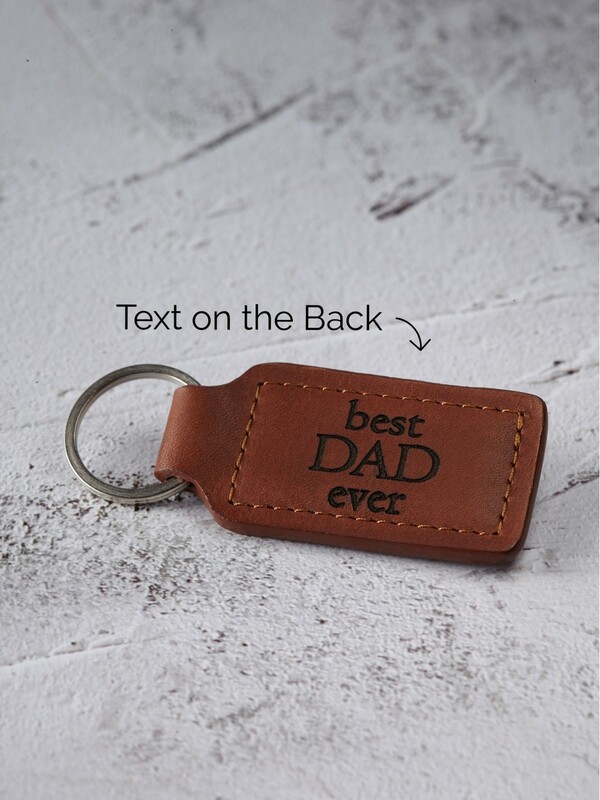 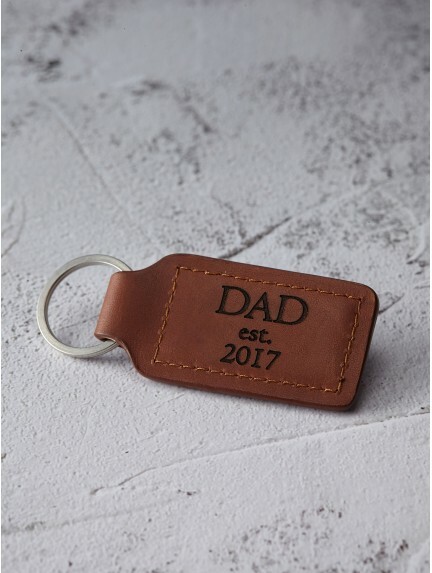 Engraved with a funny saying on one side and your message on the other, these dad keychains are perfect Father's Day keychain gifts for your dad. 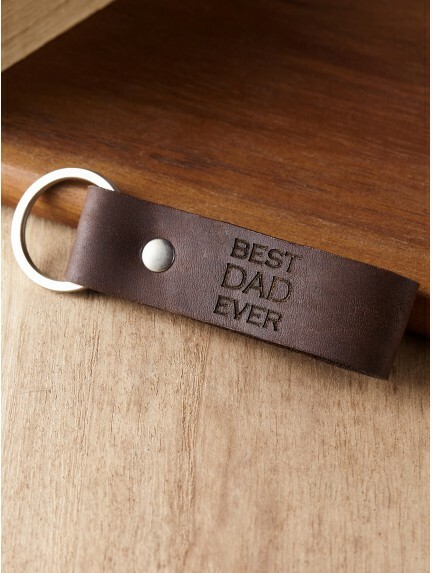 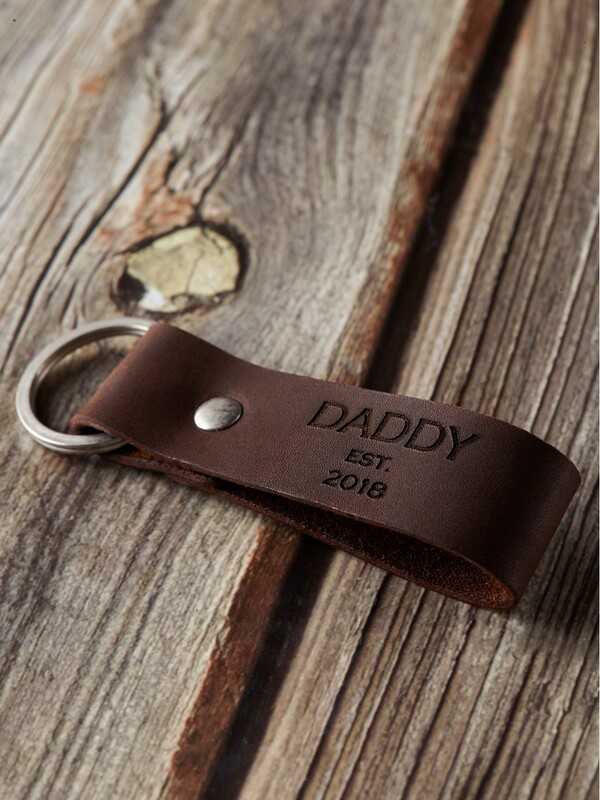 Handcrafted to order in our own workshop, these daddy keychains are inscribed with popular Dad phrases such as "Dad est. 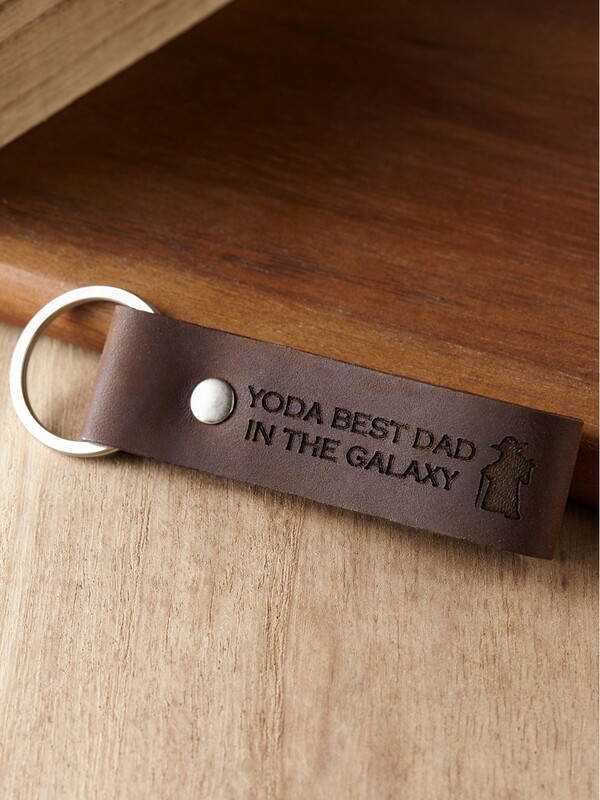 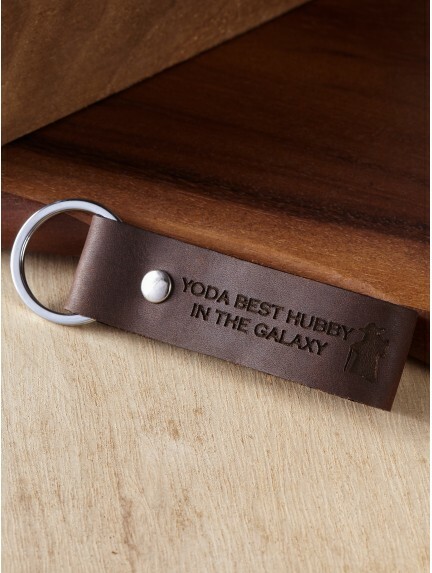 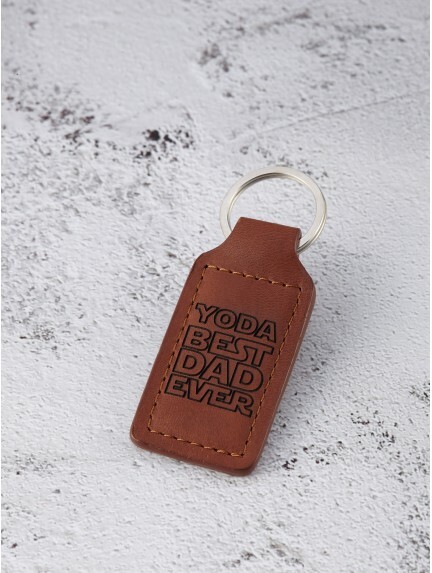 ", "Best Dad Ever" or " YODA best Dad in the galaxy", making them popular as gifts for first time dad. 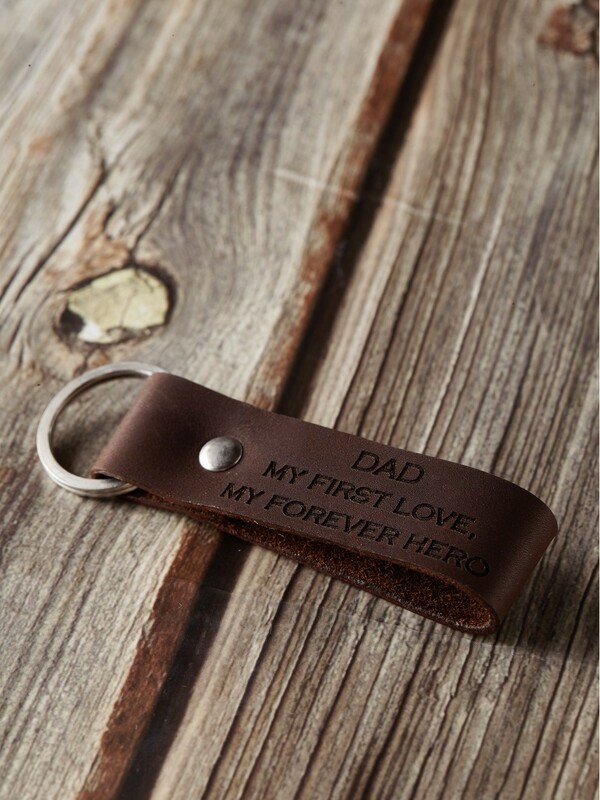 In crafting these keyrings for Dad, we source the highest quality genuine leather and sterling silver. 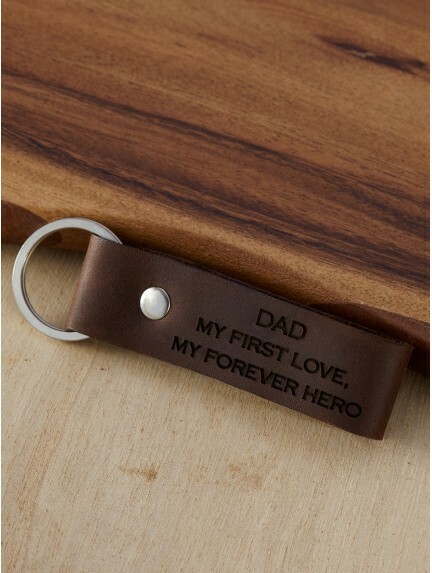 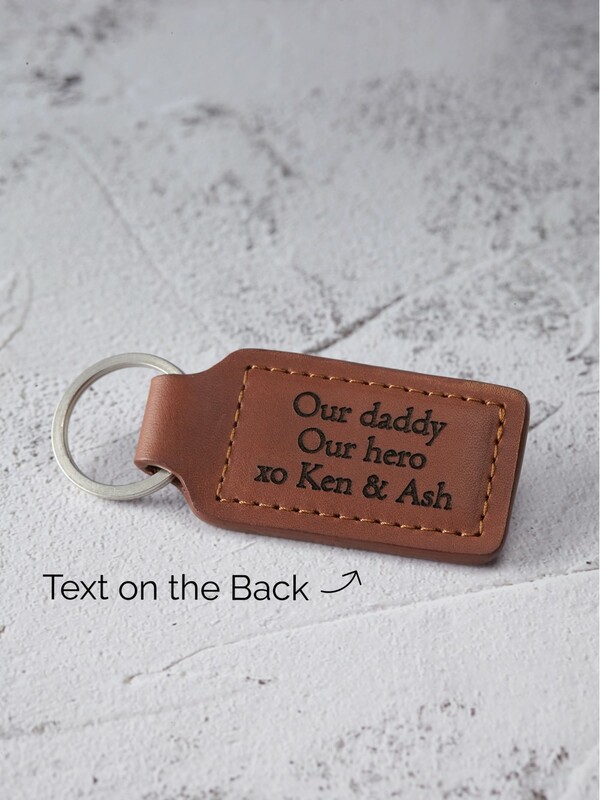 These engraved keychains for dad are top choice as Father's Day gifts from wife and children or new dad gifts. 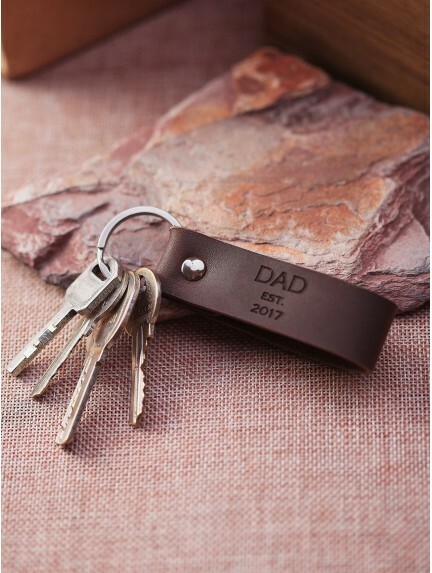 Personalized Dad Gift Keychain - Dad est.